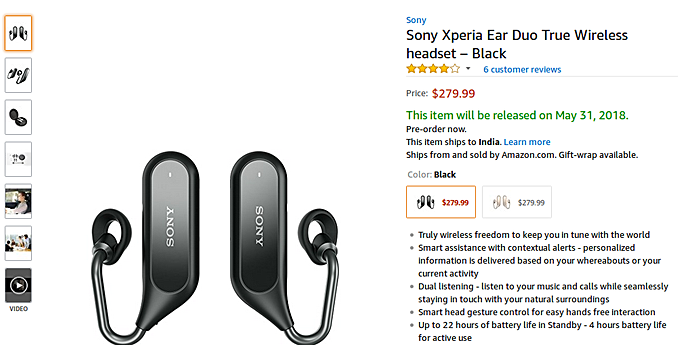 The Sony Xperia Ear Duo is now available for pre-order in the United States. The pre-order link on the Japanese company's official US website takes you to the Amazon listing of the product, which reveals a price tag of $279.99. Available color options include gold and black. The listing reveals a shipment date of May 31. The Xperia Ear Duo is the successor to the Xperia Ear which was launched back in 2016. Stupid sentence of the week.